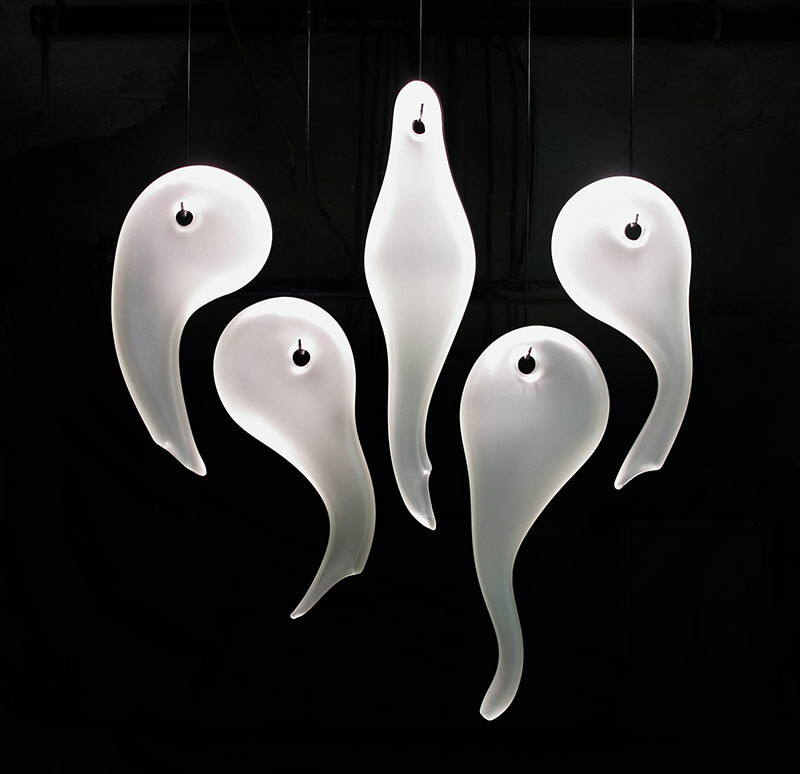 Our luxury interior glass hanging sculpture are designed for custom installations. Each of the sculptural glass forms are hung from the ceiling. The combined glass forms work together to create a larger scale sculpture. The visual impact is further enhanced with the space between each glass form. This negative space helps develop an invisible connection for each of the glass forms to one another. Our concept in design is perfect for any site specific installation within a commercial or residential interior. 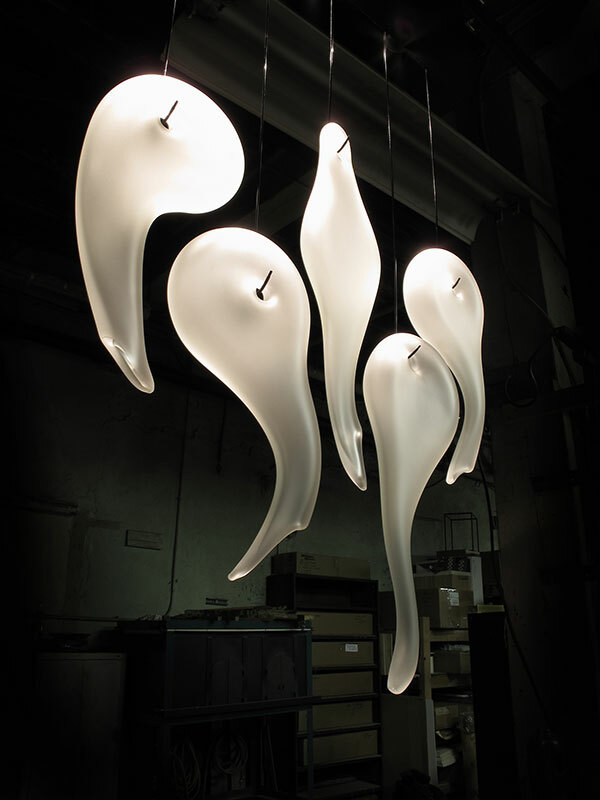 The hardware for hanging the glass sculpture can be customized to accommodate various heights. Our luxury interior glass hanging sculptures are one-of-a-kind designs and can be made in custom colors, sizes, and configuration of glass forms. Each sculpture from Bernard Katz Glass is handmade and unique. The hanging glass sculpture shown here and in the video is currently available. The hardware for this configuration can be customized for your specific location. Contact us directly for pricing and further details.